Anatomy and physiology of life · Business mind. · Stories to ponder. Gnosis is best defined by the word “Gnostic:” the one who studies and lives Gnosis. Gnostic comes from the Greek gnostikós, of gignookein: to know. So the word comes from the Greek and it means knowledge, an “illuminating knowledge,” a “salvific knowledge,” which saves from ignorance the one who comes to know himself. And this is why it is stated that Gnosis is a very natural function of the awakened consciousness, a Philosophia Perennis et Universalis. A synthetic knowledge, with its own values, that allows for the sincere seeker to achieve the Being and universal Knowledge. 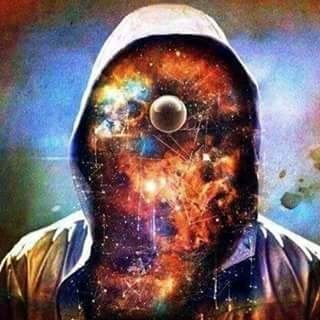 The term Gnosis is related to direct knowledge of one’s own consciousness, rather than a theory or belief. Now, the word psychology relates to the psyche, which is the soul in Greek. And the word Ology (in psych-ology) or Logos is Greek for “the Word,” or in other words “God” (psychology: “the Word of the Soul,” meaning “God”), an eternal aspect of the creative impulse in the human creature. Gnosis then is knowing God, the god within you. “In the beginning was the Word, and the Word was with God, and the Word was God.” ~ John 1… Gnosis is the Word then, and so it was in the beginning. So whoever has gnosis knows the beginning itself… Do you follow this…?? Now, imagine 3 colored plastic cups–one red, one blue, one colorless or transparent. You pour water into each cup–now you see water that looks red in the red cup, blue water in the blue cup, and transparent or colorless/pure water in the transparent cup. Your consciousness is the water–i.e., transparent, colorless, pure substance of creative impulse or life in man. And the cups with their different colors is your mind and its different states–i.e., fear, stress, anger, anxiety, peace, lust, joy, etc. Now, gnosis, the Word, the Beginning, The Infinite itself, resides beyond these aggregates or states of the complex mind.